Like the truck driver who drove twice around the 53 mile Indy loop known as “The Circle,” before his wife noticed he had already passed the same landmarks. Or the lore, oft-told, of drivers finding themselves in another city or state, sometimes hundreds of miles away, having no idea how they got there, in a sleep-deprived stupor . . .
No one really knows how many crashes are due to driving while drowsy. In the photo above, taken earlier this year, the driver admitted he knew he was tired when he was heading south on I-95, but he pressed on anyway. Drowsy Drivers are Dangerous Drivers. Drowsy driving accidents usually involve only one vehicle and the injuries tend to be serious or fatal. There are no skid marks or evidence of other evasive maneuvers at the drowsy driving crash scene. Vehicles driven by a drowsy driver may hit another vehicle or a fixed object at full speed. The National Sleep Foundation (NSF) says more than half of drivers have driven while drowsy and 20 percent to 30 percent have fallen asleep at the wheel. Young adults are particularly at risk: the peak age for drowsy driving crashes is 20 years old. A drowsy driver needs to immediately get off of the road. Being drowsy or sleepy may be a symptom of fatigue, but it is not really the same thing. Fatigue is sometimes caused by common lifestyle causes, such as lack of rest, poor eating habits or stress. Fatigue can also be caused by medical issues and conditions ranging from mild to serious, or even disorders as anxiety and depression. Feeling fatigued might be similar to feeling tired, exhausted or low in energy, but often does not result in sleep or sleepiness. Drowsy drivers are in the stage right before sleep and are at risk of falling asleep. You’ve heard all the tricks: caffeinated or energy drinks, caffeine pills, vitamin drinks, turning the heat down, rolling down the windows, turning the music up, etc. While caffeine may help a little in the short term, most of the quick tricks to fight sleep simply do not work. The National Sleep Foundation says the best way to make sure your mind and body are in optimal driving shape is to plan ahead and get 7-8 hours of sleep before driving. Proper pre-trip rest is essential. The pre-drive nap: taking a short nap before a road trip can help make up for a short night’s sleep. The mid-drive nap: if you find yourself drowsy while driving, pull over to take a short nap of 20 minutes. Make sure you are in a safe location and remember you’ll be groggy for 15 minutes or so after waking up. The Buddy system: It’s safest to drive with a partner on long trips. Pull over and switch drivers, while the other takes a nap, if possible. Don’t rush. Better to arrive at your destination safe than on time. Do not drink alcohol. Even very small amounts of alcohol will enhance drowsiness. Don’t drive between midnight and 6 AM. Because of your body’s biological rhythm, this is a time when sleepiness is most intense. Drivers need to get rest before driving and need to know the signs of drowsy driving. Organizations and motor carriers need a clear, explicit policy on driving while drowsy, ill, or fatigued. Organizations should conduct periodic driver training on preventing driving while drowsy. Thank you for reading this. Many more thanks for helping to spread the word. Authorities said a semi-truck slammed into the rear of another semi that was stopped for the construction backup. “He tried to stop, but just didn’t have time,” sheriff’s office Sgt. William Hoskins said. The second semi was pushed forward into a third semi. For some drivers, nothing is more frustrating than merging to a single lane. Traffic becomes much slower and it always seems someone is trying to position themselves to the head of the pack. The problem? According to traffic experts, most of us merge too early, causing a single lane that may stretch for miles, and slowing things down even more. Most drivers say they are early mergers. MnDOT created this video on the zipper merge . 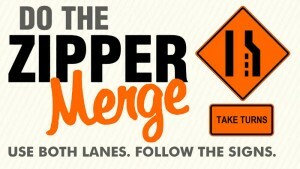 . .
More states are adopting the zipper merge. As in any construction zone merge, drivers need to remain vigilant, drive defensively, maintain a safe following distance and a space cushion around their vehicle, slow down and always be ready to stop, if necessary. On a daily basis, there are far too many rear-end, construction zone collisions occurring, or secondary collisions after a primary collision, resulting in mass destruction. • Drivers should not act as a traffic cop. 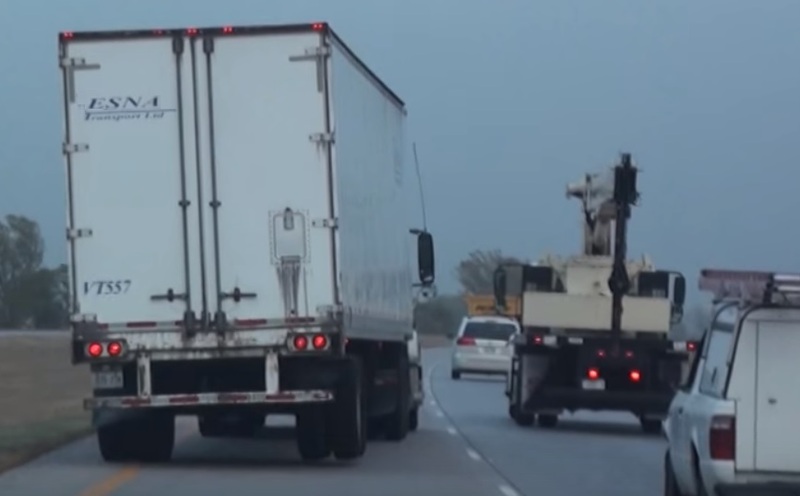 Trucks sometimes line up side-by-side to impede the flow of traffic. A.) Intentionally blocking or impeding traffic is totally illegal. B.) While illegally blocking traffic, there is the risk of getting rear-ended or side-swiped by someone who is not paying attention. Insurance companies may have the right to reject a claim in these circumstances. • Don’t expect everyone to do it right. There tends to be a lot of confusion when merging. 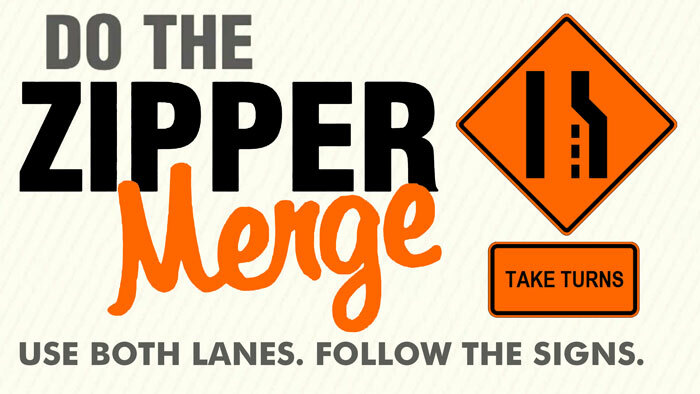 There is no forewarning as to which lane to be in when doing the zipper merge. When traffic is slow, for safety reasons, motorcycles may “lane split” or drive on the shoulder. Be courteous and drive friendly. • DO NOT TAKE RIGHT OF WAY. If you lose your turn, someone else will let you in. Right of way can only be granted — never taken. • Remain in your lane. Maintain a good following distance and space cushion. Follow the directions of any warning signs. • When merging, signal intentions, check the mirrors and ease into the lane indicated. • Treat traffic like a team sport. Play the assist role. Yield to other vehicles when it’s their turn to merge. Driver behavior is responsible for most crashes. Bad driver behaviors. Behaviors as errors and violations affect safe driving. Errors are slips, lapses, and mistakes. Errors may be dangerous errors or relatively harmless lapses. While violations decline with age, errors generally do not.
. . . driving errors underlie crash involvement for older adults. Such errors include seeing another vehicle but misjudging the time available to proceed, failing to yield the right of way, making improper turns or improper stops, failing to see another vehicle, and speeding. Violations are not errors, but rather the style in which the driver chooses to drive that becomes an ingrained habit after years of driving. 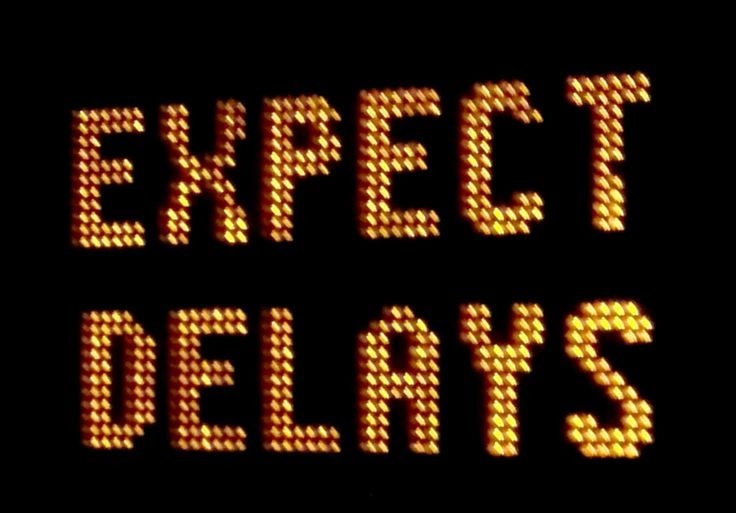 Certain driving errors and violations have been found to be predictive of crashes. The American Transportation Research Institute (ATRI) studied the driving behaviors of over a half-million truck drivers. In vetting a new hire or preforming an annual review, a driver’s record can carry a lot of weight, especially if the driver has some bad driving habits as above, or other habits that can be just as bad — as not wearing a safety belt while driving, or driving distracted (texting or using a hand-held cell phone), etc. Interstate 465 (I-465), also known as the USS Indianapolis Memorial Highway, named for the WWII ship that sank on the night of July 30, 1945, stretches 53 miles around the capital of Indiana. RTV6 of Indianapolis ran a story on risky I-465 ramps, some with older design features like I-465 eastbound onto I-69 northbound (Exit 37), some with blind spots, that can result in cars waiting too long to exit and making risky moves resulting in a conflict or crash. 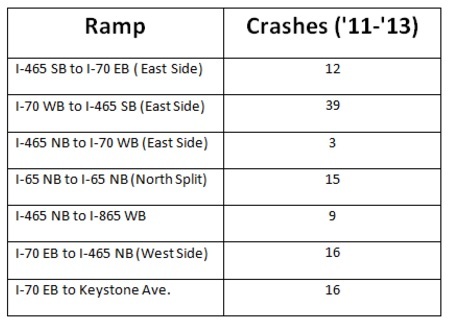 The chart of interchanges around Indianapolis shows which ones have high crash rates (for all types of vehicles). 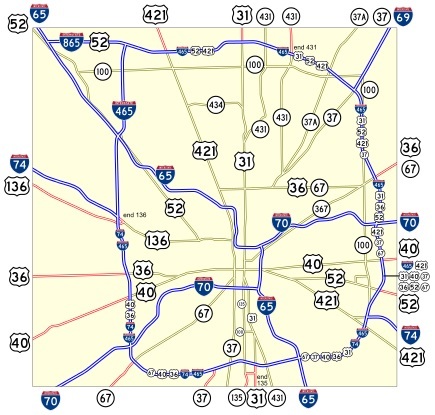 Note that except for I65 and I70, all major highways are routed around the city, with I-465. 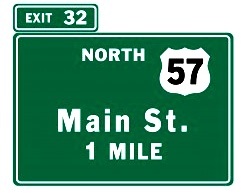 A one-mile section between exits 46 and 47 carries eight routes — I-465, US 31, US 36, US 40, US 52, US 421, SR 37 and SR 67. The speed limit is 55 MPH, but traffic speeds may be around 65 MPH. 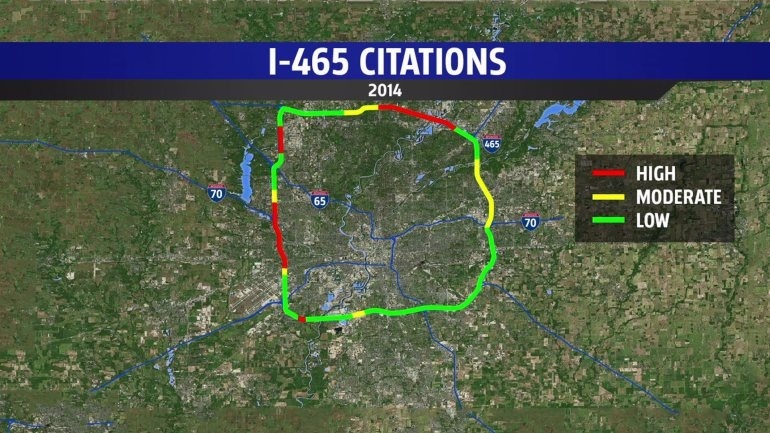 So if you have to travel around Indianapolis over the holidays or on your normal work day, please be extra cautious going around the I-465 loop. Are you Ready to Shift into Winter? While chain control laws have been in effect since October in many jurisdictions, a number of drivers have not had to use them. It is the driver’s responsibility to know the road conditions and equip their vehicle for those conditions. Chain Rule No 1. Make sure the chains will fit your tires. Tire sizes are different and so are chain sizes. 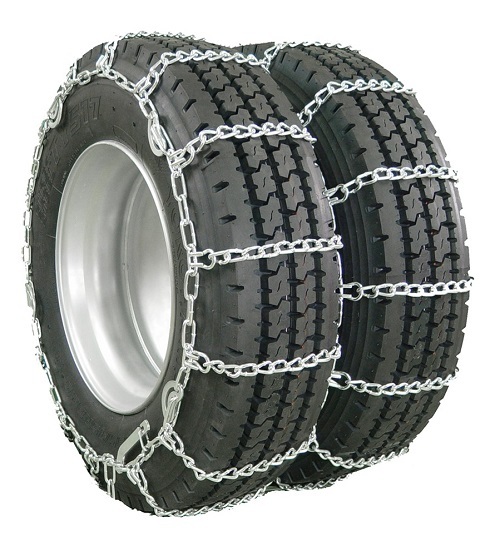 Do a “dry run” and make sure the chains are properly fitted for the tires. Bungee cords can add some tension and take up some of the slack. Bungee cords cannot make an improperly sized tire chain work. Chain Rule No. 2 Take up as much “slack” in the chain as you can. Tighten the chains as much as possible on the wheel. Make the chain as tight as possible on the wheel. Then use bungee chords to keep the chain from slinging out. Chain Rule No. 3 Drive slowly with chains. Top speeds with chains will be 15 MPH to 20 MPH. Driving much faster will cause the chain to sling out and possibly come loose or come apart. Chain Rule No. 4. De-chain as soon as possible. Once the vehicle has passed through the hazardous area, stop and remove the chains. Chain Rule No. 5. If road conditions are dangerous and risky, do not drive. Check weather reports, if adverse weather is anticipated. Know your company policy for driving in adverse weather. Do not drive if it is dangerous. Even if your vehicle is under control, other drivers or unanticipated road conditions may be a danger. 49 CFR Part 395.2 Definitions. Local authorities may prohibit vehicles from further travel if they believe the roadway is unsafe or the vehicle should not proceed. Vehicles with cable type chains may be restricted due to local conditions. • If the tire chains have a locking cam with a cam key, keep a spare chain cam key and put another in your emergency kit. • Have extra bungee cords. Bungee cords often break or slip off. • Always wear proper eye protection (approved safety glasses— ANSI Z87.1-2010 Certified) when using bungee cords. • The legal tread depth for mud and snow tires is 6/32” minimum in California. 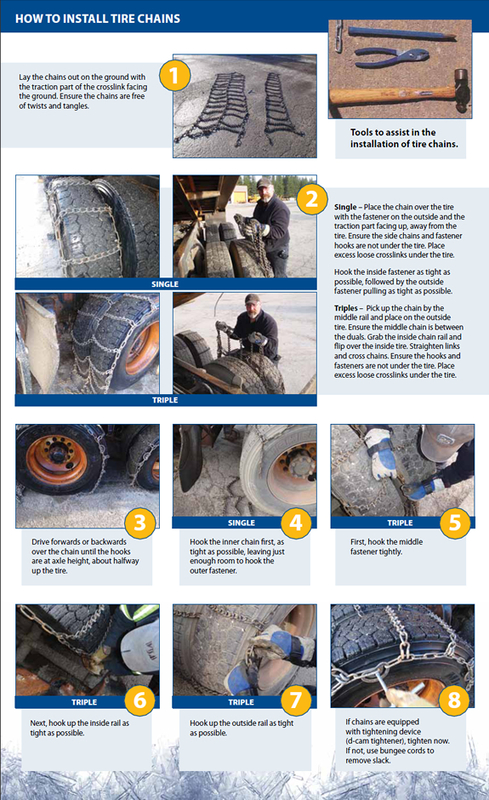 • Know the chain laws for the areas you are driving in. For example, California does not have any specific dates when vehicles are required to carry chains. Training and practice in the use of chains is always advisable. Some companies have drivers practice mounting chains on a set of free duals, used for that purpose. Thank you for reading this. Have a great Thanksgiving holiday. Another post that may be of interest . . .
What is a DOT Safety Audit? 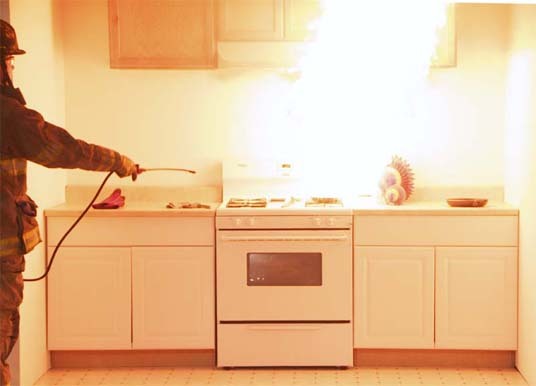 If you’re into safety, here’s an interesting statistic: more house fires (as well as dozens of injuries, some very serious) occur on Thanksgiving Day than on any other day of the year. 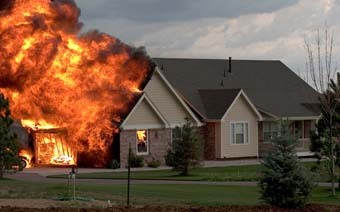 There are, on average, about 1,300 house fires on Thanksgiving Day, resulting in millions of dollars in claims. The main culprit? The cooking stove fire. Danger point— someone throws water on a burning pan or fryer — resulting in a fiery explosion. The good news is that most Thanksgiving Day fires can be prevented. Here are a few tips from the Consumer Product Safety Commission (CPSC). They recommend that every family has a fire plan and escape routes for their homes. Make sure the smoke detectors are working, too. Thousands die in home fires throughout the year. • Stand by your pan. Always stay in the kitchen when cooking. It can take less than a minute for a fire to start. • Keep a charged fire extinguisher nearby, and use it, if necessary. Never use water or flour to put out a fire. Cover the pan with a lid to smother the flames. Never use a turkey fryer in a garage or on a porch. Always use the fryer outside—and away from your home. Don’t overfill the fryer with oil. Don’t put a frozen turkey in hot oil. The bird must be thawed. Hot oil splatter can cause serious burns to an adult or life threatening injuries to a child. Make your Thanksgiving a day to remember . . . not a day you’ll never forget. Please help spread the word to your drivers and staff. P.S. The following is no joke . . .
For the ultimate in safe cooking (from Columbia University) . 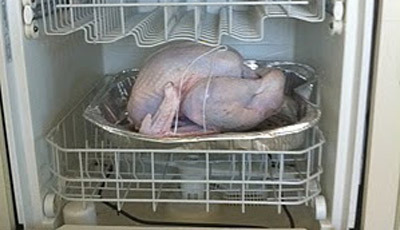 . . cook the bird in your dishwasher. Have a safe day . . .
Winter officially begins on December 21, at 11:48 PM EST. But nobody told the weatherman. The snow and ice season is upon us. Here’s a route selection tip from a Canadian based owner-op and YouTube star (49,206 subscribers, on a worldwide basis) named Trucker Josh. For several years on a daily basis, Josh, a second-generation driver, has chronicled his life on the road. In a recent broadcast, Josh picked up a load in eastern Canada and is heading west, back home. Josh says in driving on snow covered roads in the Great White North, to avoid problems, he chooses the route that is flatter, even if this means going a little out of the way. That’s advice you won’t find in a CDL manual. . . This makes sense because, even if the road is dry, there can be patches of black ice on bridges or under overpasses or on the road from runoff or drifting snow. Add a grade to the mix and life can quickly become complicated. Stay tuned for more winter driving tips and reminders. Clicking on the item listed on the ATRI page will result in a download of a map and charts (.PDF format) showing the average speeds on the interchange over the course of the day, broken down in a 24-hour-by-hour frequency. This should help in trip planning. 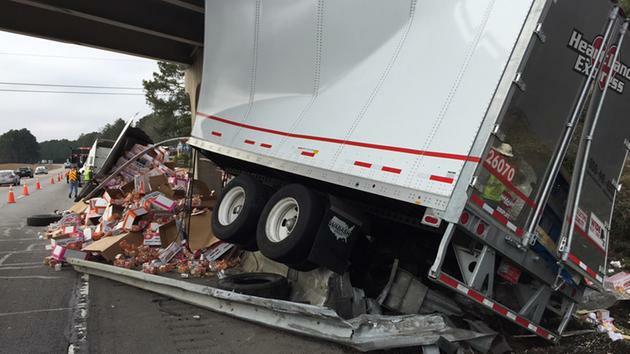 lane-miles, but 20% to 30% of freeway truck accidents occur on or near ramps. The good news is that one study found higher volume ramps had lower rates of truck accidents per truck-mile of travel.¹ It also found approximately the same number of accidents for both the merge and diverge ramps. There is a higher frequency of accidents, particularly rollovers, at loop ramps (as cloverleafs). Loop ramps are designed with the intention of safety because they reduce the chances for conflict, but can be a problem for trucks with a higher center of gravity. 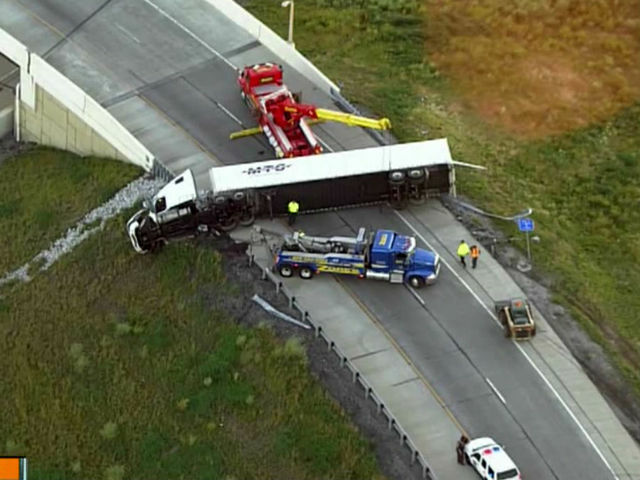 Authorities say the semi-truck was likely traveling too fast for the exit from I-435 to I-70 when it overturned and slid into the guardrail. The cab of that truck was split in half. The driver of that truck, a 24-year-old man, was killed. Police have not released the identity of the victim, however, they say he was not from the area. • Plan your route. Multi-level interchanges can be confusing, especially at night. • The small exit number sign on top of a larger directional sign is always on the same side as the exit. The sign below tells us to move to the left lane for Exit 32. • Signal intentions well before the exit or when you can read the final exit sign. • Be in the proper lane leading up to the exit ramp and be mindful of cars that may attempt to cut you off and get around your truck. • Stay 100% focused. Keep both hands on the wheel. Be aware of surrounding traffic. • Look for backups or vehicles stopped on the ramp. Be ready to slow or even stop. Some of the deadliest collisions have occurred when a truck rear-ended a slow or stopped vehicle in the ramp. Maintain good following distance, keep plenty of space in front, and leave yourself an out. • Look for speed limit signs before curves and keep the speed of the truck at least 10 MPH under the posted or advisory speed limit signs. Posted ramp speeds are not for trucks. Adjust speed even more when weather conditions as ice, snow, rain, and wind are of concern. • Be cautious of the vehicle speed when coming from a sloped bank to a flat roadway. Don’t start accelerating too soon. Use the acceleration lane to get up to speed before merging into traffic. More crashes occur leaving the interchange as entering it. Recall the saying, The bottleneck is at the top of the bottle. Use your head and everything goes much smoother. Thank you for reading this. Have a super-safe day and weekend. Other Posts . . .
What is the #1 Safe Driving Behavior? Who are the safest drivers in the USA? All drivers are not created equal. Some drivers just seem to have a knack for driving. Other, seemingly bright, intelligent people are all thumbs behind the wheel of a car. In my career, I’ve been fortunate to have evaluated thousands of drivers from almost every part of the world and of various ages, occupations, and social backgrounds. When it comes to safe driving, I have found the children of truck drivers or police officers fair not much better than average when it comes to driving. Perhaps many truck drivers are gone and let mama do the driver’s ed stuff. Due to the nature of their work, police are notorious for having some of the highest collision rates, even though being specially trained in high-risk driving. When it comes to safe driving, there is one segment that always stands out. Here’s a hint . . . These are the children of the folks who, on a daily basis, have to deal with the direct consequences of bad driving. The folks who see the broken bones, severe burns, missing limbs, life-altering injuries, wicked whiplash, TBI, paralysis, and other horrors of bad driving that polite folks don’t talk or even think much about. These are the folks, all the livelong day, who have to take the mush and pieces that are left from a bad collision and try to make what resembles a human being from the anatomical jigsaw puzzle. Yes — the children of emergency room doctors are some of the safest drivers I have had the privilege to observe. They do their traffic checks, make full stops, yield to pedestrians, check the railroad tracks, check their blind spots and the hundreds of other safe driving behaviors that many drivers “forget” to do. And they do it naturally, as if they had been driving for decades. The moral of this story is twofold. The word indoctrination is formed from indoctrinate, a word whose Latin roots mean “to teach.” It also means to inculcate or imbue with learning. Whether it is politically correct or not, from my observations, safety indoctrination works. If you teach it, really make an effort to teach it, they will learn. The second point, related to the emergency care scene, is that we’ve become better as a society at patching up people after crashes. Crashes are more survivable due to vehicle safety improvements. The tools and resources and training of the first responders are better. The emergency room technology is improved. In general, the number of fatal car crashes have been falling. The declining number of fatal car crashes might be a false metric. Are we really any safer? But there is another statistic that should concern us all. Take a look at the handicapped parking spots at any retail store. Usually they are in use by somebody. By some estimates, there are up to fifty-six million disabled people in the U.S., sometimes called “the hidden society.” Every year thousands of people are injured or disabled, and many of these in car and truck crashes. That tells me there is still much work that needs to be done in driver safety training and education (indoctrination) at all levels of driving. Most of us did not have emergency room doctors as parents. The majority of companies are small and lack either a vision or budget for training and education. With everything else going in in the business, it’s sometimes hard to see the oftentimes hidden value of safety. Here’s how one safety training company dollarized the value of their safety training . . .
Another Post . . .
What are the qualifications or standards to administer company D.O.T. driving tests? A smashed clearance light here. A bent door there. A dent in the top, rear corner. A scrape on the bumper. A gouge across the side of the truck. A lot of nickle and dime stuff, and on occasion . . . an injury or even a fatality. Any driver will tell you, backing can be challenging. There is no windshield when reversing (rear-mounted cameras and sensors are becoming an option — but may be only a partial solution at best). Any insurance company will show you their claims files: from about a quarter of all collisions (National Safety Council), to just under a third of all claims are backing related. In most cases the claims are small — property damage to buildings, structures, or other vehicles. Small or large, backing collisions can be the easiest to control. The main cause of all backing accidents is human error. Backing collisions are 100 percent preventable. Even though most backing collisions do not result in severe injuries, the large number of backing incidents make this type of crash a significant safety and cost problem. Motor carriers and organizations deploying commercial motor vehicles need to develop special programs to help prevent backing collisions (which typically account for 10 to 40 percent of many companies’ motor vehicle accidents¹). 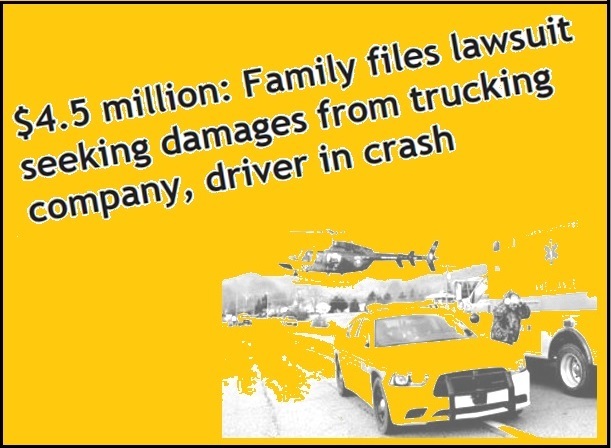 A 2009 study for Caltrans found that 95% of their backing incidents and collisions could have been prevented.² Caltrans experienced backing incidents that cost over $500,000 a year in vehicle repair costs alone. To establish safe practices to ensure vehicles are safely moved when backing. Whenever feasible, eliminate backing. Example: use pull through parking rather than backing in or out a spot. Always back slowly, at idle speed. Never rush backing up. Never back on a roadway, highway, expressway, etc., unless directed by police. Use the four-way flashers and tap the horn twice before reversing — once for attention and the second time for direction. If a vehicle has been stopped or parked for any length of time, the driver shall exit the vehicle and perform a visual inspection. Any time a vehicle is backed, if another employee or person is present, that person will act as a spotter. If pedestrian or other traffic is anticipated, a spotter shall be utilized while backing. Use a spotter for situations where children are present or nearby. One or more spotters shall be employed as guides in all situations where the driver does not have a clear vision of the path of travel. If necessary, two spotters should be assigned when backing in a difficult spot–one covering each side of the vehicle. The spotter(s) shall be on the ground, to the rear of the vehicle, and shall remain visible to the driver at all times. If the driver loses sight of the spotter(s) at any time, the driver shall immediately stop the vehicle. When someone is there to assist the driver they must be clearly informed that company policy states that the driver is still responsible. Drivers are to use the advice of the helper; not to depend upon them. If a driver backs into a fixed object or otherwise has a collision, the driver will be held responsible despite the use of a helper. Every backing accident should be considered driver error or responsibility. Employees need to understand that they must take personal responsibility for their actions and will be held accountable. Violations of safety policies will be met with disciplinary actions that are immediate, certain, and applied equally to everyone. Effective backing collision prevention systems integrate multiple technologies such as sensing devices that sound an alarm when an object is near the vehicle or closed-circuit television cameras. Radar and sonar systems may not be dependable in snow and cold, or in cluttered areas. Sonar systems do not work well in congested areas. For lighter trucks, the Ford 2016 F-150 has a backup assist that helps in steering when backing a trailer, but drivers should still walk their intended path and use a spotter, if needed. How does one learn to become a truck driver? What is the training standard? To safely drive a commercial motor vehicle (CMV) takes a certain skill set. Ideally, these skills are developed in a manner ensuring both confidence and judgement in their application. The “mechanical skills” of driving come first and may become a barrier for some who don’t pick up on the rhythm of manually shifting or backing. Age and aptitude usually contribute to success in this area. There has been a gradual shift to automatic transmissions. About 40% to 50% of new trucks, depending on the make, are equipped with automatic transmissions. Some states have statutory training requirements covering minimum length of training or course content. The U.S. DOT only requires a learner’s permit and road test for a Commercial Driver’s License (CDL). The DOT sponsored a Entry-Level Driver Training Advisory Committee (ELDTAC) earlier this year with the mission of developing minimum mandatory training requirements. The Professional Truck Driver Institute was established in 1986 and like the ELDTAC, developed a set of standards with the help of industry stakeholders. Graduates of PTDI schools receive a PTDI Certificate of Attainment from the school or PTDI seal on the school’s certificate. The average length of PTDI-certified courses is four to six weeks. Courses could be as short as two weeks (minimum of 148 contact hours with one-on-one training) to 12 weeks or more. But Driver Training Shouldn’t End at the Beginning . . . Drivers often report their safety skills start to become stale after initial training. In some cases, training was cursory. Essential skills like coupling, trip-planning, and preparing a log-book were rushed through or not done at all. Little time may have been spent on advanced skills like load securement, defensive driving, skid training or emergency procedures. The United Kingdom has instituted a new, five-year period Driver Certificate of Professional Competence (CPC) periodic training program. The CPC is costly (£3,000 or about $4566 U.S.), and has resulted in a drop in license renewals and a driver shortage in the UK. Companies employing drivers in the U.S. and Canada prefer in-house training or the help of on-line training providers. The American Trucking Association estimates about $7 Billion a year is spent on driver safety training. What Should A Recurrent Training Program Look Like? Recurrent training is required by other modes of transportation as rail or air. Recurrent training is important because initial safety training often becomes stale or forgotten. Over time drivers can become reactive instead of proactive. Recurrent training can also help in keeping up with new regulatory and technological changes. Recurrent safety training can be customized to meet organizational needs. One way to start is to conduct a knowledge survey in a specific area of interest, be it emergency procedures, electronic logging or defensive driving. Another productive means to both gather and impart safety information is by a round table discussion. The group can openly discuss various driving scenarios and/or review recent safety incidents for determining the root cause. Any training done should be structured. Studies have shown that a structured orientation results in employees feeling more confident and engaged at work. • Beware of the “hit and run” approach: training that is too brief, with no follow-up, resulting in transfer-to-the-job skills of no more than 30% of the training content. • Everything there is know about a topic cannot be taught in one session. • Don’t throw the book at them. Break everything down into smaller chunks. Learning experts have found that adults cannot learn new skills by merely listening to a set of instructions. Adults need time to absorb new information, use it experimentally, and integrate it with their existing knowledge base. Other Blogs That may be of Interest . . .
Should Congress Raise Truck Insurance Requirements? Will you be ready? Motor carriers should plan for an eventual increase in truck and bus (including school buses) insurance requirements. 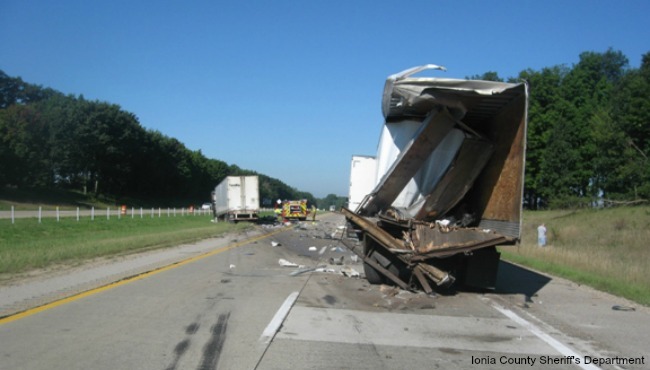 In April 2014 the FMCSA issued a report calling for higher truck insurance limits. 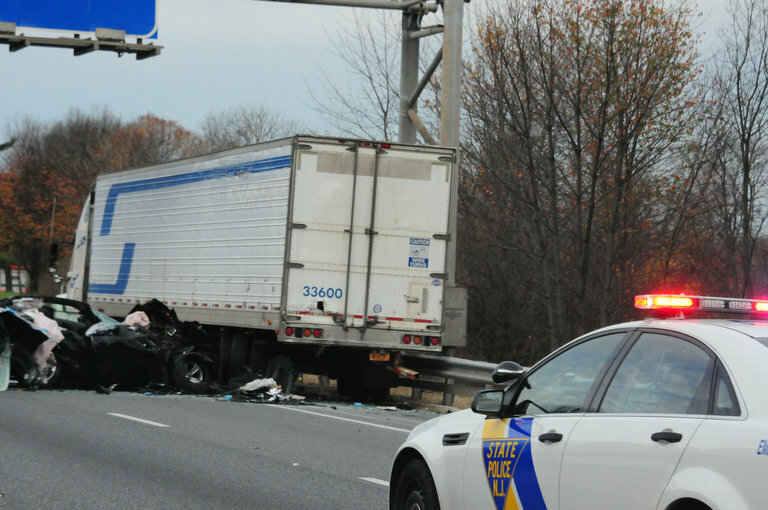 On July 10, 2015, Sen. Cory Booker (D-NJ), introduced The Truck Safety Act, requiring, among other things, that motor carriers have at least $1.5 million in insurance. While that bill won’t become law, on Nov. 13, Jami Jones of Landline Magazine (the official Publication of the Owner-Operator Independent Drives Association — which runs its own truck insurance operation) reported (Battle over attempts to increase trucking insurance heats up) that efforts to raise truck insurance continue — by a push of some Senators to remove the provisions in the current in the House version of the highway bill (Sections 5501 and 5503) that require the FMCSA to justify any increases before raising the minimum insurance requirements. The article recommends immediately contacting specific Congressional Representatives and Senators by phone via the Capitol switchboard or their websites, to show support for keeping motor carrier insurance requirements at their current levels. The April 2014 FMCSA Report, required under MAP-21, says that motor carrier insurance is inadequate in about 1% of claims (catastrophic claims) due, mostly, to higher medical costs and should be raised — based on the consumer price index — from 1985 levels. Truck insurance based on the CPI would go from the current $750,000 level to $1,623,771. The report says the FMCSA has no data on the projected costs of the increased insurance requirements. (1.) Assign responsibility to someone in the organization to control the expense. This does not have to be a full time Risk Management job. But any cost area not reviewed or controlled tends to grow over time. (2.) Get help from the insurance company. Top insurance agents and brokers are always eager to meet with clients to help control their costs — some even on a quarterly basis. Many small business people do not realize that insurance companies have what is known as a loss-control department whose only function is to help businesses reduce claims. (3.) Make sure your firm or organization has the right amount of insurance. The right amount of insurance may be higher than the statutory or legal requirements. The right amount of insurance may change when operations change. Your agent is happy to help in this area. Do you have a solid safety program? 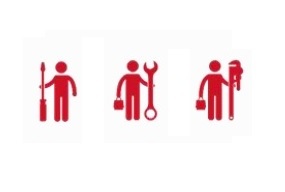 The primary aim of a health and safety program is to ensure workforce well-being and business continuity. 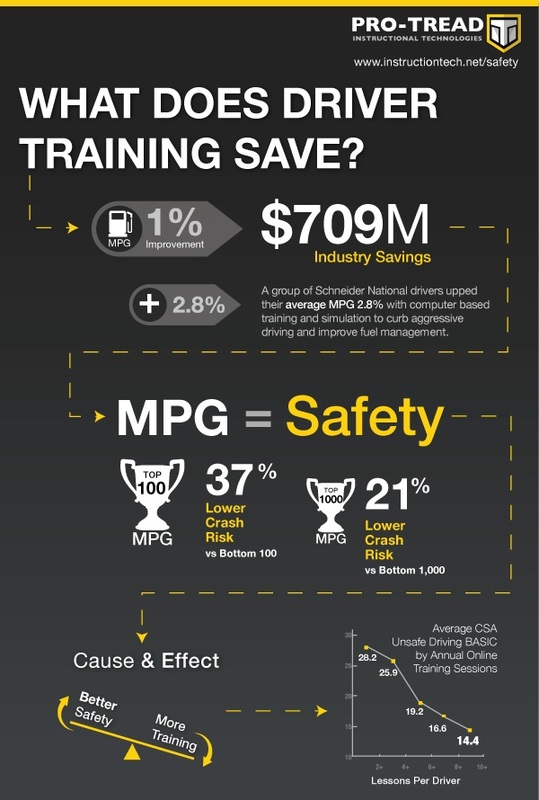 Many times safety training is an automatic boost to productivity, which in turn boosts profitability. Do you assess and deploy new safety technologies? Check out if your insurance company has any discounts available for safety technology. (5.) Avoid collisions and claims. Do you have written cell-phone, safety belt, passenger, and vehicle-use policies? Many small companies I talk to, do not, assuming employees “know better,” or even admitting they believe there is little the employer can do in these areas. Do everything possible to limit the chances of driver distraction. Do you have a strong vehicle inspection and maintenance program? Are employees vetted for their background and experience? Are all new driver-employees given a road-test? Are more experienced drivers given safety check rides? 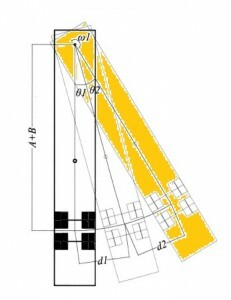 Do you conduct a post-collision analysis of any crash? 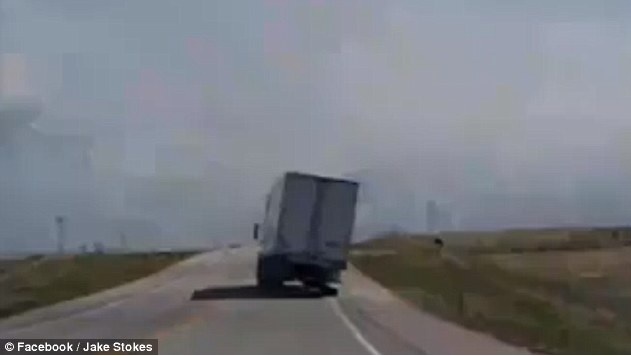 Was the driver following too closely? Was the driver distracted? Was the driver fatigued? Was the driver in a rush because of a deadline? Did poor road, weather, lighting or equipment conditions affect the driver’s ability to drive safely? Were there any other factors that may have caused the collision — remote (occurring well before the collision) or — direct (occurring immediately before or during the collision). If the answer is “yes” to any of these questions, then examine why the condition existed, to drill down to the root cause of the crash. In future blogs we’ll review other proven strategies and tactics to better reduce risks and protect assets while lowering overall cost. Disclaimer: Reference to any specific product, process, or service by trade name, trademark, manufacturer, company name or otherwise does not constitute or imply its endorsement, recommendation, or favoring by the author or a guarantee of any specific results. This blog is for informational purposes only. Thank you. Other related posts . . . If Insurance is the Flower, Is Loss Control the Weed? A number of transportation companies in the past few years in the Midwest have seen explosive growth. One consequence of bringing new people on-board is an increase in the number of incidents and accidents. Some say there is no such thing as an “accident.” Things don’t just happen on their own. Many times there are indicators leading up to the actual event, a series of close-calls and near-misses. The warning signs are ignored. Then something happens. Really quick. One defintion of an accident is an unplanned event resulting in injury or illness, or damage to property or the environment. Some safety investigators prefer to call all accidents an incident until an investigation is completed and a cause assigned. The U.S. Department of Transportation requires an accident register for DOT recordable accidents. The DOT defines an accident as an occurrence involving a commercial motor vehicle which results in: (a.) a fatality (b.) Bodily injury to a person who, as a result of the injury, immediately receives medical treatment away from the scene of the accident, or (c.) One or more of the vehicles incurs disabling damage, requiring it to be towed from the scene. 2. An occurrence involving only the loading or unloading of cargo. Other events, where someone is injured, are covered by the Occupational Safety & Health Administration (OSHA). While loading and unloading trucks, OSHA regulations govern, including “at the dock, at the rig, at the construction site, at the airport terminal and in all places truckers go to deliver and pick up loads.” The trucking industry is addressed in specific OSHA standards for recordkeeping and the general industry. An OSHA recordable accident is a work-related injury or illness that must be reported to OSHA. Who is covered under the new rule? Employers do not have to report an event or incident to OSHA resulting from a motor vehicle accident on a public street or highway. However employers must report the event if it happened in a construction work zone. Any injuries and illnesses that occur during an employee’s normal commute to and from work are not considered work-related, and therefore not recordable for OSHA’s purposes. OSHA’s recordkeeping regulation at Section 1904.31(a) requires employers to record the recordable injuries and illnesses of contract employees they supervise on a day-to-day basis, even if these workers are not carried on the employer’s payroll. Section 1904.31(b)(2) further clarifies that the host employer must record the injuries and illnesses of temporary workers it supervises on a day-to-day basis. Section 1904.31(b)(3) states that if the contractor’s employee is under the day-to-day supervision of the contractor, the contractor is responsible for recording the injury or illness. Struck-by: A person is forcefully struck by an object. The force of contact is provided by the object. Struck-against: A person forcefully strikes an object. The person provides the force or energy. its very nature, is harmful and causes injury. Contact-with: A person comes in contact with a harmful substance or material. 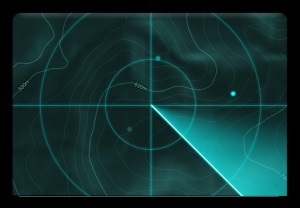 The person initiates the contact. Caught-on: A person or part of his/her clothing or equipment is caught on an object that is either moving or stationary. This may cause the person to lose his/her balance and fall, be pulled into a machine, or suffer some other harm. Caught-in: A person or part of him/her is trapped, or otherwise caught in an opening or enclosure. Caught-between: A person is crushed, pinched or otherwise caught between a moving and a stationary object, or between two moving objects. Fall-to-surface: A person slips or trips and falls to the surface he/she is standing or walking on. Fall-to-below: A person slips or trips and falls to a level below the one he/she was walking or standing on. Over-exertion: A person over-extends or strains himself/herself while performing work. Bodily reaction: Caused solely from stress imposed by free movement of the body or assumption of a strained or unnatural body position. A leading source of injury. Over-exposure: Over a period of time, a person is exposed to harmful energy (noise, heat), lack of energy (cold), or substances (toxic chemicals/atmospheres). Slips and falls continue to be the biggest problem area for injuries and fatalities. Enforce the three-points-of-contact rule for climbing in and out of the truck and cranking the dollies. Proper non-slip footwear is essential not only in winter, but year-around. Most hand injuries arise from not wearing gloves. Drivers of flatbeds and dumps need to be made aware of the danger zone around the truck when loading or unloading. Drivers of vans and reefers should not be inside the van when powered lift trucks are loading and unloading. Thank you for reading this. Save a safe day and a great weekend. 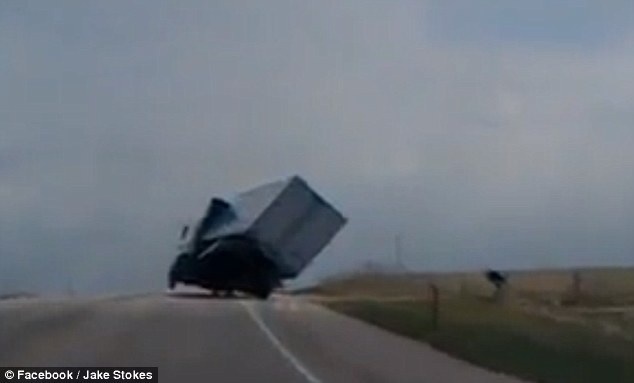 On Wednesday, Nov. 11, 2015, at least three tractor-trailers rolled over in Iowa. Wind gusts are suspected to have contributed to the crashes. 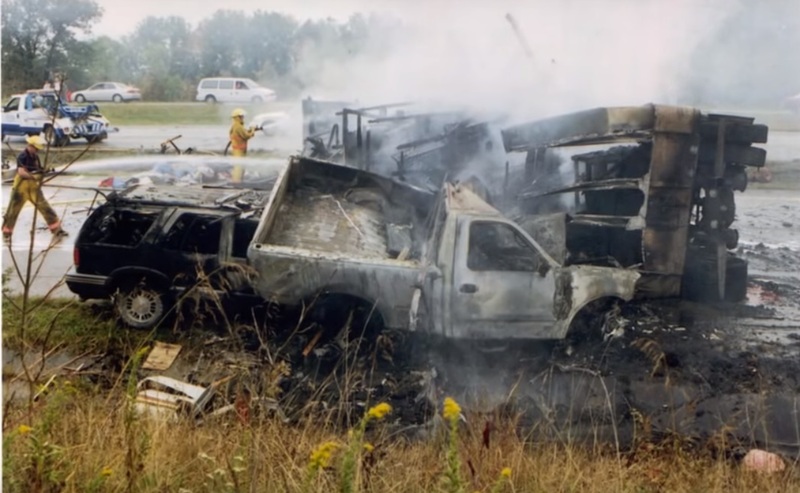 This is a concern because truck rollovers are the number one cause of fatalities for commercial drivers, especially if the driver is not wearing a safety belt. Weather reports usually tell us two or three characteristics of wind: direction and speed and sometimes the speed of any gusts. A straight tailwind is great. Pushing air is one of the biggest reasons trucks do not get great fuel economy. A headwind always takes extra fuel to overcome air resistance (drag). There are several ways wind is defined. Basic wind speed is a measurement of average wind over a period of ten minutes. (ISO 4354) As it is an average, that means actual wind speeds can be higher. Wind speed fastest mile measures the speed of the wind as it moves one mile and are typically higher than wind measured over a period of ten minutes. Wind gust speed, a sudden increase or decrease in wind velocity, is determined by a gust factor (about 1.5) applied to the average wind speed. Surface winds are considered dynamic and are constantly changing. 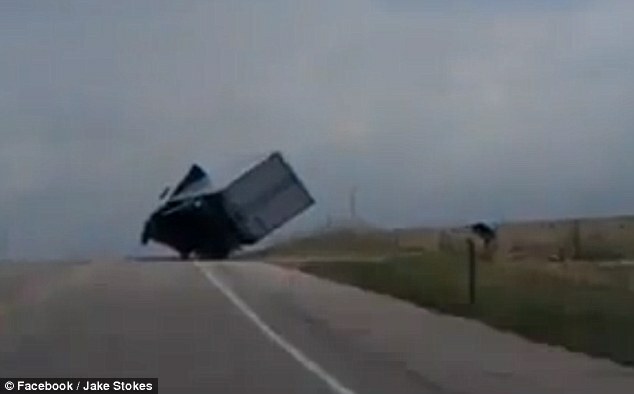 Trucks pulling dry vans or reefers are most at risk for high-wind hazards. A trailer does not have to be moving to be damaged. A strong enough wind gust can break a trailer sitting in a parking lot. The most critical wind direction is wind blowing perpendicular to the direction of travel or a side-gust wind. Drivers may first notice a rocking sensation from the wind gust, as if riding in a boat. Vehicle speed has an effect on whether or not a loss of control will occur at a given wind gust speed. Loss (or gain) of vehicle control may be induced by driver inputs as steering, accelerating or braking. 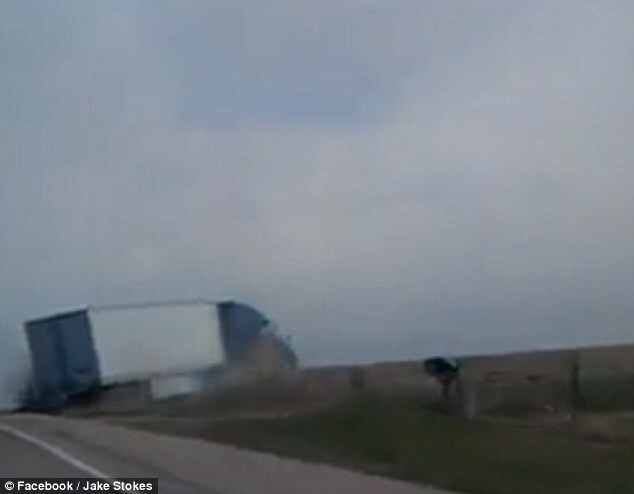 Here the driver was able to make an unbelievable recovery by pulling off the road into a Kansas field. Wind gusts can cause the trailer to swing out in low traction conditions as standing water, snow or ice. Leave plenty of following distance between other commercial motor vehicles. A number of states enforce a 500 foot following distance rule for trucks. Drivers may be given tickets for following too closely on bridges also. 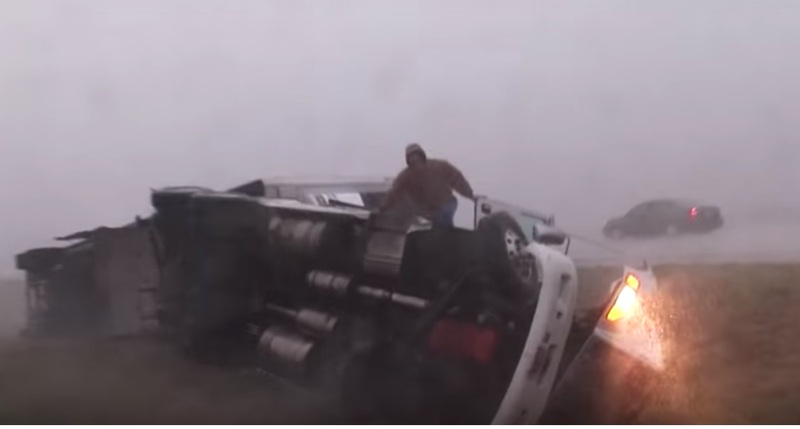 One company had three of their trucks traveling together, blown off the road in strong winds. Gusts approached 50+ MPH, lifting this trailer’s wheels off of the road. • Check the weather as part of the trip-planning routine. • If the weather turns bad, keep a “weather radio” handy and tune in to the the National Oceanic and Atmospheric Administration (NOAA) Weather Radio All Hazards (NWR) system. NWR is a nationwide network of radio stations broadcasting continuous around-the-clock weather information. • Keep in mind that actual wind speeds and gusts may be higher than broadcast weather reports. Wind can be unpredictable. • Reduce speed in windy conditions. • Reduce speed in inclement weather: rain, snow, or when driving on icy roads. • Reduce speed in low traction conditions as rain, snow, or ice. • Don’t bunch up several trucks in a road convoy. • Don’t drive in risky, high wind conditions. • Insure any freight is properly distributed for a low Center of Gravity. If one does a Google search on “car hits parked truck,” the search results in over 35 million results. Everyday, it seems, someone is running into the back of a truck somewhere. Rear-end collisions are always destructive and messy. Running into a truck is almost like running into a brick wall. Metal twists and bends. There is always the chance of under-ride. There is the chance of fire. People can get seriously hurt. It’s a mess. But it only gets worse. If the collision does result in an injury or fatality, it is likely that the crash will result in a lawsuit. Both the truck driver and company will be sued. Pre-trial dispositions will be taken and every safety practice, policy, and procedure will be called into question. Somebody has to pay for this collision. Somebody will pay . . . Even if a settlement can be negotiated before the trial, insurance premiums will rise. There is the chance that the insurance coverage was not enough, so assets will have to be sold to make up the difference. What’s the best alternative? Collision avoidance. • The breakdown lane is for Emergencies only. Answering a phone call from dispatch is not an emergency. Checking directions or a map is not an emergency. Even running out of fuel is not an emergency, and one driver was fined $1000 for this. Yes — non-emergency stops are illegal. Drivers need to do their pretrip planning and pretrip inspections to avoid any and all non-emergency stops on the shoulder of the expressway. • The expressway is not a rest area. Again, unless it’s an emergency situation, there should be no parking and napping on the side of the expressway or ramps, and definitely no sleeping. Drivers need to keep track of their hours and leave a safety margin for themselves to find a place to park. This is difficult, but not impossible. • Areas with guardrails, bridges, and tunnels are extra risky. Guardrails signal some sort of off-road hazard. Guardrails can act as “channels” and direct vehicles into a commercial vehicle that is parked next to the guardrail. The same with bridges or tunnels. There is no “out” for another vehicle to get around the parked vehicle. So, for example, a driver notices he has a flat tire and decides he will wait for road service. 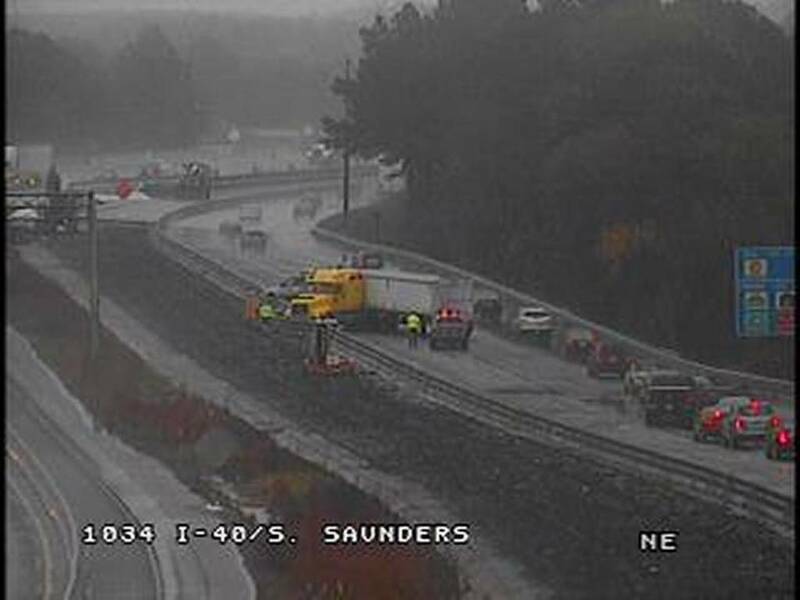 If the truck must remain on the expressway, then driver should stop well beyond the guardrail, bridge or tunnel, put on the emergency flashers and set up the warning triangles. • Don’t stop in an exit ramp, if at all possible. Don’t park in center turn lanes. Don’t park in places marked no parking. Don’t park in malls where truck parking is restricted. Don’t park near schools. Some jurisdictions have strict anti-idle laws near schools and/or other civic buildings. Never drop a trailer against the flow of traffic or in an oncoming lane, as vehicles may run under the kingpin. If legally parked on the street, a couple of 24 inch traffic cones with reflective tape can be placed behind the vehicle. Don’t park in curves or under overpasses or other areas where the vehicle may be not be easily seen. Don’t park in an area before bright lights that can hide the silhouette of the truck at night. Drivers should never walk along the truck with their backs to traffic. Make sure drivers know how to properly set up warning triangles in an emergency. When the Gales of November Come Early . . . Living in Michigan, one is surrounded by the Great Lakes and its ships. 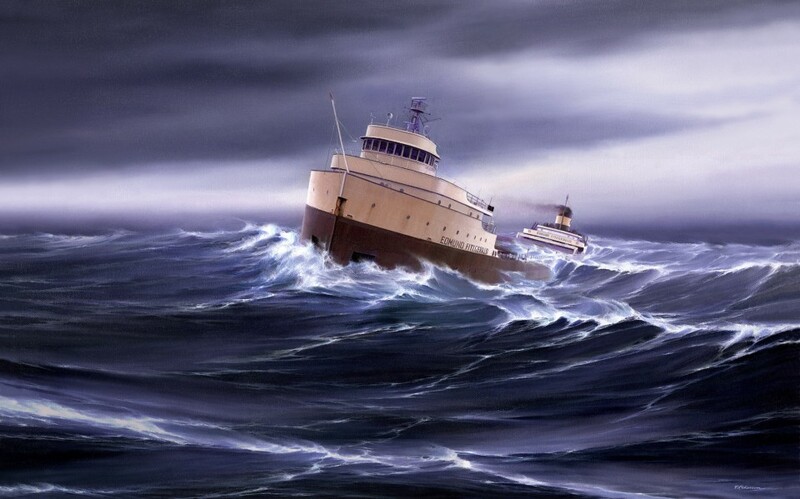 In its day, the SS Edmund Fitzgerald was the largest ship on the Great Lakes. Today marks the 40th anniversary of the day on November 10, 1975 when the Fitzgerald went down with its crew. We don’t want to think about it, but somewhere in the U.S., depending on the altitude and location, it’s already snowing and blowing. Now is the time to be proactive and start thinking about the cold weather. This not only means winterizing the fleet, but developing a winter mindset as well. Get ready for the cold starts, frozen brake lines and sticky fifth wheel locking mechanisms. Here are some often overlooked areas . . .
Make sure all the grease buildup on the fifth wheel is removed in and around the lock jaw, throat and the pivot points. Degrease, clean, and inspect the fifth wheel. Follow the manufactures’ guidance. Be sure to lube it with water-resistant lithium grease — on all of the fifth wheel-to-trailer contact surfaces. This needs to be done. Be aware of new “solid precipitation” laws that cover snow, ice, hail and sleet on a moving motor vehicle. States without specific snow/ice removal laws may charge drivers for “negligent driving” — or operating in a way that endangers or is likely to endanger another person or property. Southern drivers . . . if you are delivering in the snow belt, note that your tires will be warm coming off the road. Parking on the snowpack in a truckstop or dock may result in the warm tires melting the snow and forming ice. Don’t spin the drive wheels. Feather the fuel. If the drives start to spin, then stop. Try the interlock, if the truck is equipped with one. Another winter tactic is to start off in a gear or two higher. This helps to keep the wheels from spinning. Sand should help stop a spin. Backing up and placing a chain under the tire may provide traction. Don’t spin your wheels is always sound advice. Control of speed in inclement weather is essential. The contact patch of each tire is a little more than the palm of one’s hand. This means that slamming on the brakes on a snow-covered road can easily result in a jack-knife or the truck doing a 180-degree turn. Ice or wet ice is much worse . 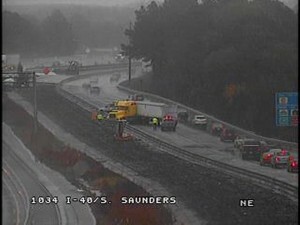 . .
Raleigh, NC— On Monday, this truck jackknifed while trying to avoid an accident. When the gales of November come early, we need to change our driving mind-set. Everything just takes longer from the get-go. Slow down on those wet or snow-covered roads and get set to enjoy the ride. Use of safety belts by truck drivers is on the rise. Safety conscious organizations have a safety belt policy and they enforce it. Why? Professional drivers use their safety belts because they know safety belts save lives. • Would have saved 3 out of every 5 people killed in vehicle crashes. • Reduces the risk of fatal or serious injury by up to 50%. • Ensures driver control of the vehicle— when it is needed most. • Protects the driver’s head, spinal cord, organs and limbs. • In a rollover a truck driver is 80% less likely to die. 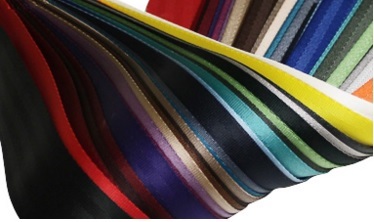 So the next time your are spec’ing your fleet or retrofitting your safety belts, consider using colors that stand out. An oft-heard complaint from drivers is that they had their safety belt on when stopped for a roadside inspection, but the officer did not notice before they unbelted and this resulted in a citation and CSA points. Use of a brightly colored safety belt may help reduce these types of citations and give your company the safety edge. Thank you for reading this, and many thanks and best wishes to Paul Abelson on his new endeavors. Did you know that lane splitting is permitted in California? Lane splitting” refers to the practice of riding a motorcycle between clearly marked lanes for traffic traveling in the same direction. 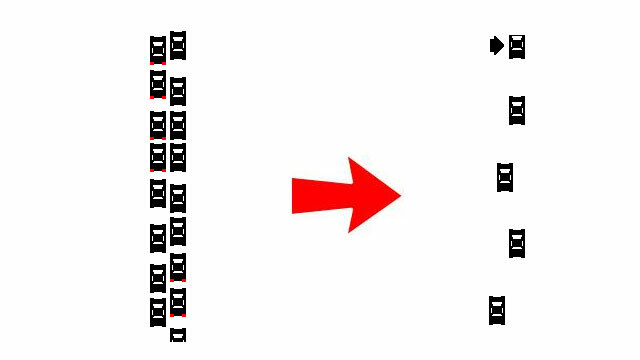 The goal of splitting lanes is to keep moving at a reasonable speed through slow or stopped traffic. Permitted means it is neither legal nor illegal to do. So in certain conditions (low speeds) and situations (neat rows of cars), a highly experienced motorcycle rider has the option of lane splitting in California. Congested traffic or stop-and-go traffic is one of the most dangerous and risky situations to be in for motorcycle riders. Drivers of larger vehicles may make sudden stops or not be aware of the motorcycles in their proximity, making sudden lane changes or other maneuvers resulting in a conflict or collision. Motorcycles and their riders can become trapped or crushed between vehicles that don’t stop in a backup. Lane splitting and filtering (riding a motorcycle between stopped motor vehicles to the front of the pack, typically at a intersection with a traffic signal), is legal in many countries, but is not in the U.S. It is not recommended by the CHP that lane splitting be done, “Between trucks, buses, RVs, and other wide vehicles,” or on curves, near exit ramps, or on a double yellow line, etc., to name a few risky situations. Professional drivers always share the road. If traffic is slow and motorcycles are lane splitting, position the vehicle in the center of the lane, as motorcycles may be lane splitting on both sides of the truck. Professional drivers do not interfere with motorcycles lane splitting, filtering, or riding in the carpool lane or on the shoulder. They are only driving in the manner they judge to be the safest. Opening a vehicle door to impede a motorcycle is illegal (CVC 22517). Drivers noticing motorcycles that are lane splitting — need to be constantly aware of the movement of the lane splitters as well as all other vehicles around their vehicle, and should always be ready to stop, if necessary. Thank you for reading this. Have a super-safe day. It’s always good to reconnect with a previous truck driving student, especially after a year or so of experience. Drivers have the same problems as anyone else starting out in a new career. Sometimes the employer doesn’t pay them right away and they have to move on. It happens. Sometimes they don’t get any respect on the receiver end (like pulling into a GM dock during break time. Breaks are sacrosanct to the UAW; please pardon their french while they explain). New drivers make mistakes — like topping the truck or parking in the wrong spot — usually from not paying attention or being distracted. Starting out is always hard. There’s a lot to learn and a short time in which to learn it. Mustafa (not his real name) was from Detroit and he drove for Swift. He said his moment of truth happened while tooling down a mountain in California. Trucks were passing him downhill so he decided to “go with the flow.” His trainer apparently had nodded off. When he looked up, he gave Mustafa an earful. Mustafa did not. It took a while for the brakes to cool at the bottom of the mountain. Other stories don’t always have happy endings. They generally involve speeding, or pushing things to the limit, or taking shortcuts. Take the case of Ray, who I hadn’t seen in a few years. Ray (not his real name) came in wearing a neck brace and needed a certified tractor-trailer road test for a Dr’s clearance. Ray filled me in on the details. He was driving in southern Michigan in winter. Ray was doing the speed limit when he came across some fresh snow — then a patch of black ice underneath. To make a long story short, he was in a hurry (get-home-itis), didn’t slow down, ended up off the roadway, upside down, and had broken his neck . . . He lost a year from work, a long, painful year. Frank was not a student, but also needed a tractor-trailer road test for a medical clearance. One side of Frank’s face had deep scars. Frank was putting air in a new truck tire, when it exploded, shredding one side of his face, ripping his thumb off and severely injuring him. “No time for that,” said Frank. Oddly, he it seemed he had enough time for several surgeries, a long stretch of rehab, and even enough time to drive about eighty miles to see me . . .
Bob (name changed to protect the guilty) took a job with a small local company. Within a month he was back, looking for work. His was an incredulous story. Everywhere he had driven, Bob claimed, was beyond the speed limit, pushed on by the trainer. He didn’t feel comfortable driving that way. He quit his job, he said, after his trainer ran a 4-way stop. “Are all the trainers like that?” he asked. Within a six months of seeing Bob, the company folded after it lost its operating authority for multiple safety violations and unpaid fines. If I had any advice to give any driver, it would be to stick with what you know. 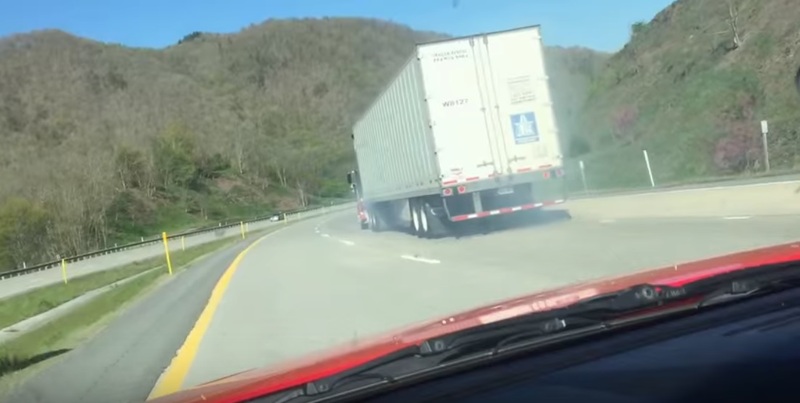 Don’t watch what other drivers are doing: their loads and equipment are different. Take everything you are told with the proverbial grain of salt, especially if the person is not responsible for your consequences. Recall the old teamster saying — the emptiest wagon makes the most noise. Don’t let others redefine the game. Many times in transportation we hear the terms hazardous materials and dangerous goods. In hauling goods we should know what these terms really mean. Hazardous materials is a term used by the U.S. Department of Transportation (DOT). Hazardous materials (sometimes called hazmat, for short) means a substance or material that the Secretary of Transportation has determined is capable of posing an unreasonable risk to health, safety, and property when transported in commerce, and has designated as hazardous under Section 5103 of Federal hazardous materials transportation law (49 U.S.C. 5103). The term includes hazardous substances, hazardous wastes, marine pollutants, elevated temperature materials, materials designated as hazardous in the Hazardous Materials Table (see CFR 172.101), and materials that meet the defining criteria for hazard classes and divisions in Part 173 of Subchapter C of this chapter. “Dangerous Goods” is an international term used by aviation organizations: International Civil Aviation Organization (ICAO) and International Air Transport Association (IATA). IATA defines dangerous goods as articles or substances which are capable of posing a risk to health, safety, property or the environment and which are shown in the list of dangerous goods in these regulations or which are classified according to the Regulations. Drivers need a Group A or B CDL with a hazardous materials endorsement to haul hazardous materials in amounts requiring placarding. If the vehicle is small, a Group C CDL is required. “X” — An X Endorsement will appear on the license instead of the H and N codes when an applicant receives both the tanker and hazardous materials’ endorsements. By ICAO/IATA requirements, training is required before performing a regulated job function and every two years. Under 49 CFR §177.816 (c) The training required by paragraphs (a) and (b) of this section (specific driver’s requirements) may be satisfied by compliance with the current requirements for a Commercial Driver’s License (CDL) with a tank vehicle or hazardous materials endorsement. For any placardable amount of hazardous materials, intrastate or interstate, the shipper or transporter must register with the U.S. DOT/RSPA. Registration information can be obtained by calling 202-366-4109. States may have additional requirements, depending on the nature of what is being hauled. “Shipping Paper” is a document used to identify hazardous materials during transport. With few exceptions (see Material of Trade), shipping papers must accompany all shipments, even if the materials are for your own use. Know that certain routes may be restricted or prohibited to shipments of flammable liquids or explosive materials or other types of hazmat. Michigan law (Section 257.669) requires any vehicle that is marked or placarded to stop prior to crossing a railroad grade. Any handler of hazardous materials knows how complex regulations for hazmat shipments can be. Protect yourself by knowing the restrictions and regulations for shipping or hauling hazmat or dangerous goods. Labelmaster put together an infographic of 2015 regulatory changes here.